We have recently come back from a trip to Namibia, where we were inspired by the sun and endless space – so much room for thought and creativity. We picked up a few little pieces to show and sell in Fen. 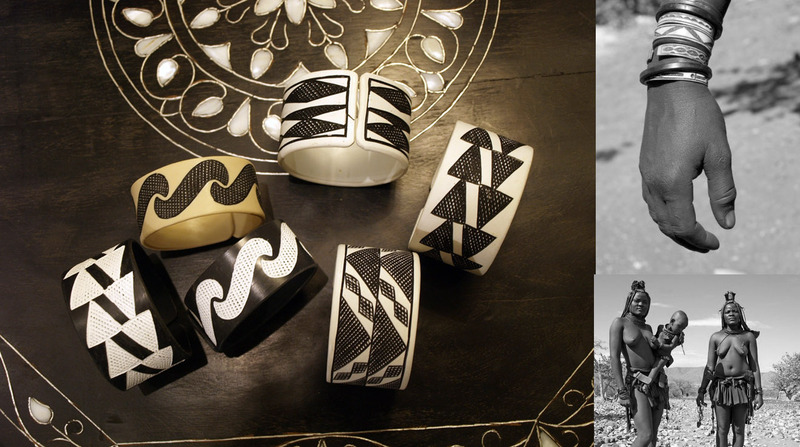 One of our favourites are these lovely cuff bracelets – that look more modern than ethnic, made traditionally by the Himba people, one of the most photographed tribes in Namibia due to their interesting attire and way of adorning themselves with ochre, mud and fat. Particularly interesting to us is the way they make their bracelets: sections cut off from pvc pipes and striking shapes etched into them – so not only beautiful but great for the environment too.